Originally, the indicator was designed to determine the maximum movement of daily range basis, it would be handy when understanding the overbought/oversold based on max range movement. It will be suitable on any trading style, for example you may want to use MA cross as your signal. With this tool, you can determine the correct spot to enter the market. It will show you the right time to enter the trade. Note: It is better to wait until the range movement reaches the 61.8% ~ 100% of range movement for several pairs like GBPUSD, USDJPY, EURUSD, EURJPY, and AUDUSD. The full range between 61.8% ~ 100% usually appears during USA market. 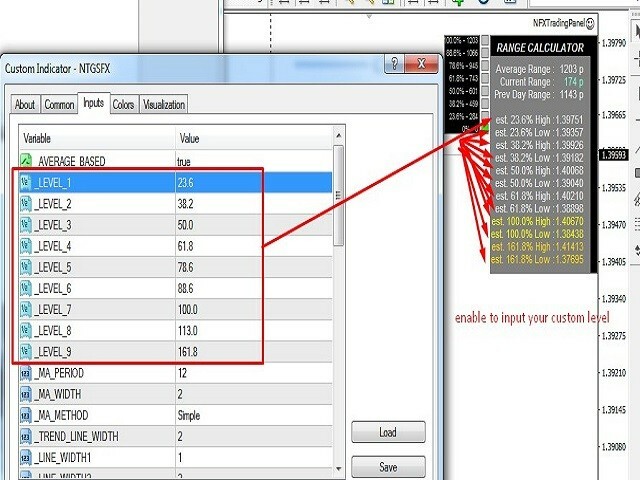 Range calculator consists of three points showing the Average Range movement of the current chart, the current movement, and the previous day movement range. 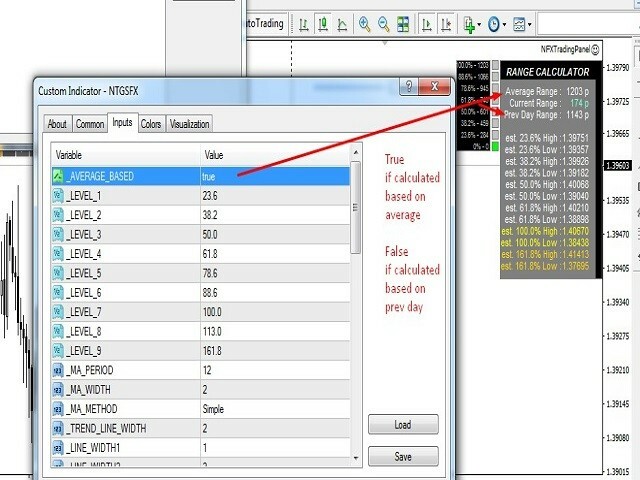 Range meter next to Range calculator shows the level based on Fibo percentage (only the percentage) movement range. Green line will spot and mark the current range movement already defined on the range meter. 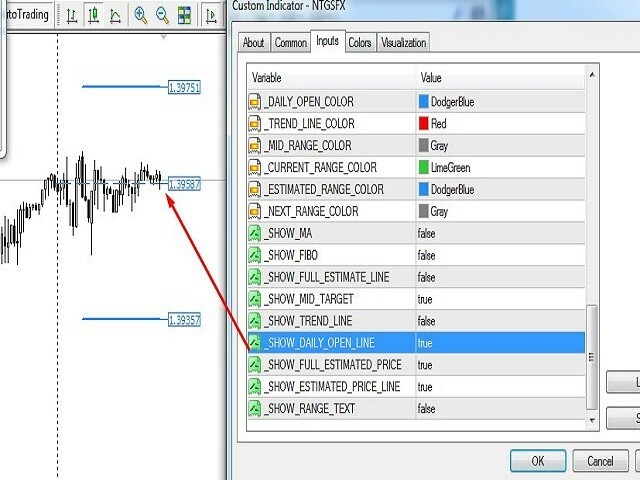 Gray line will show the next range movement estimation. Trendline will show you the current wave down or up. You can enter buy if the leg shows the wave down and reaches the green level. The best entry is at the USA market. If the range shows the 100% level, you can set the target (take profit) into the middle line, where the middle line is usually at 500 points (50 points 4-digit). 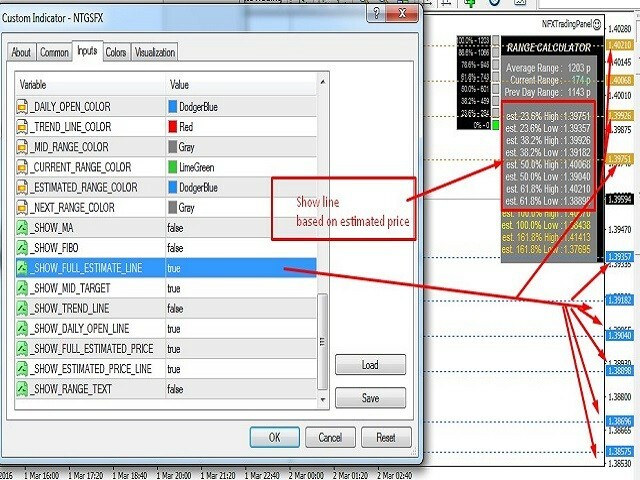 _SHOW_RANGE_TEXT: set to true to show the current and next range text. --- added input for your custom level. --- added Daily open line. --- added full estimated line. -- change vertical line with vertical trend with price. -- add estimated 100% range price.